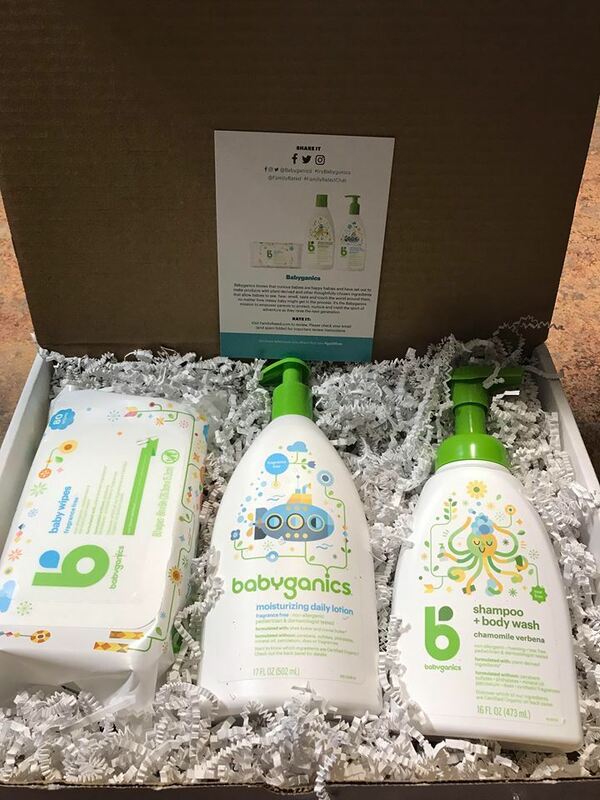 Received this product for free to test out by Family Rated. 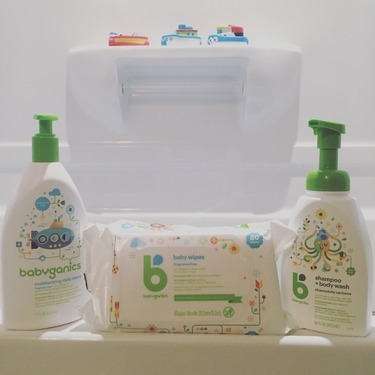 My baby surely enjoys a warm bath before going to sleep and this was a great addition to our bath time routine. She almost instantly falls asleep as soon as I put on her sleepers. I love how this smells! 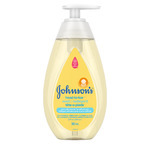 This 2 in 1 product works well as a foaming shampoo. It rinses clean without much scrubbing as a typical lathering shampoo. The light scent isn't too strong either. It works well as a body wash too. 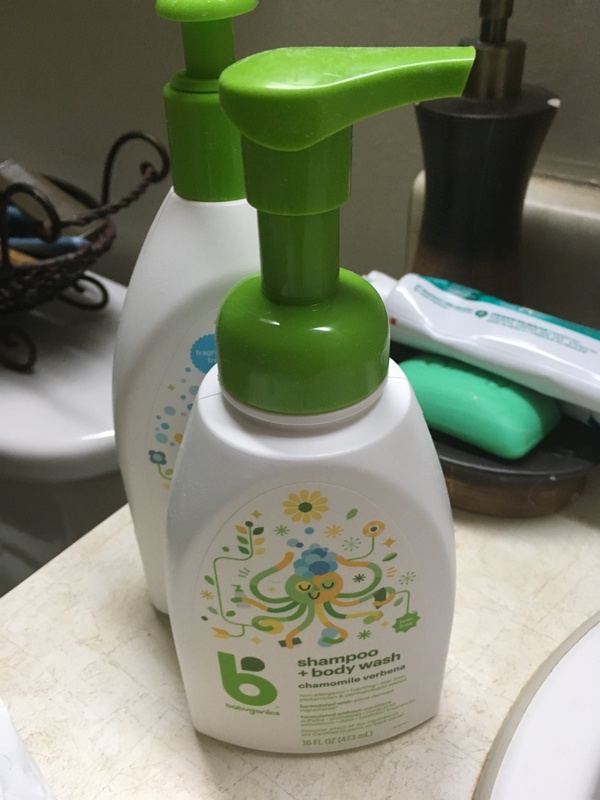 I was so excited to be selected to try this product from Family Rated! 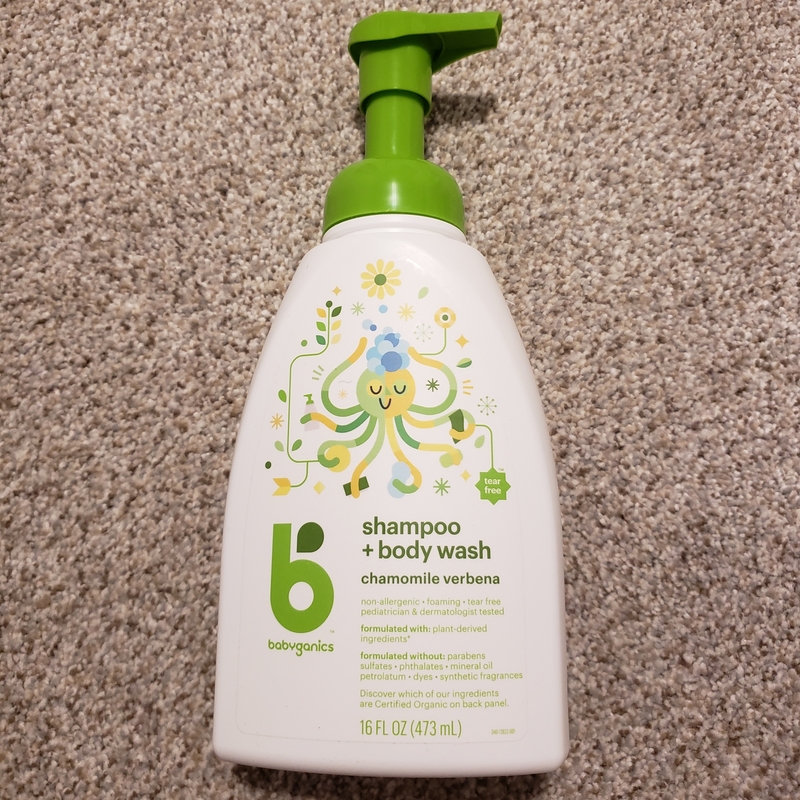 I am always skeptical of products who claim to be able to do more than one job at a time, but this one actually works well as both a shampoo and a body wash. I wasnt certain that a foaming shampoo would do a good job cleaning hair, but it did. My toddler has very long, fine hair and my infant has only a small amount. They both come out with super clean hair, but the best part is how easy it rinses out. 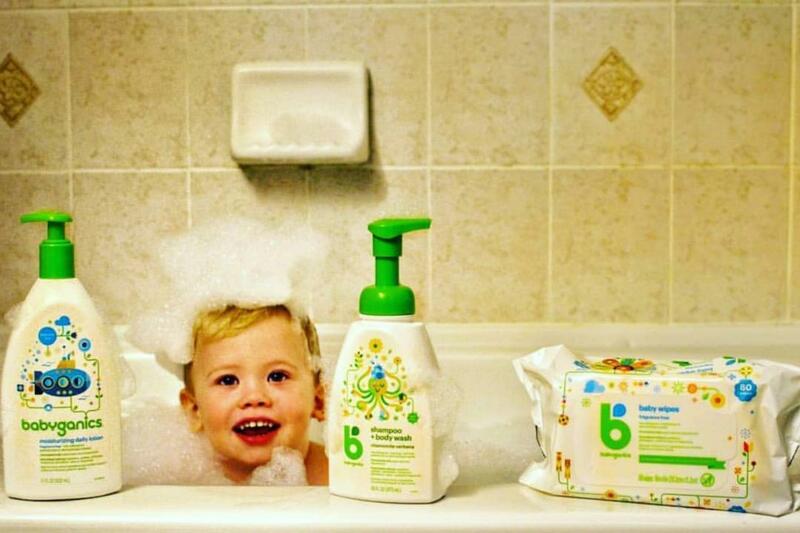 With traditional shampoo it takes several dumps of water on their heads (which is always their worst part of bath time) to wash it out. With this shampoo, i literally only have to dump water on their head once, and it rinses out. 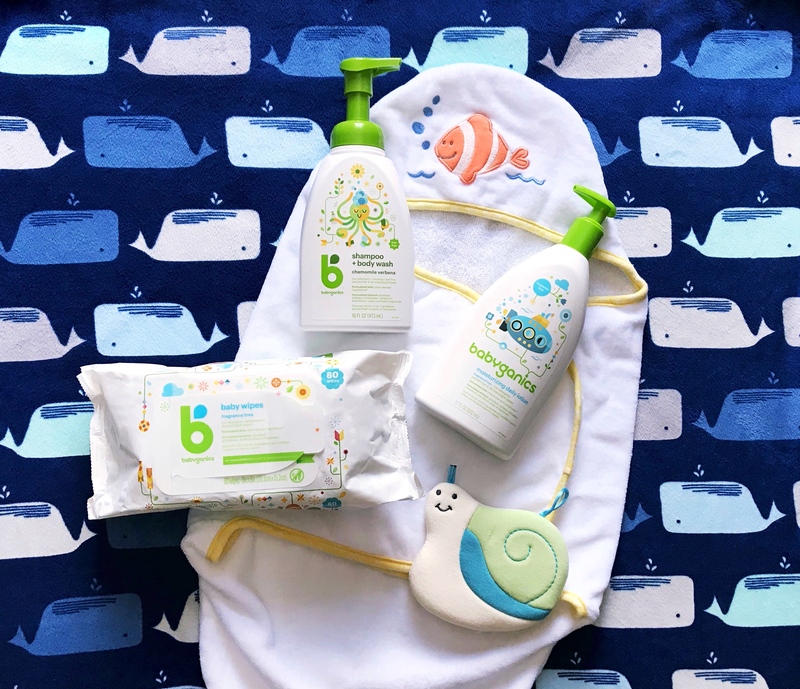 The body wash cleans well, and rinses off easy. I know the scent is supposed to be chamomile verbena but i detect a faint smell of mint. Regardless, the scent is not overpowering and it does not linger on their skin/hair when they are out of the tub. 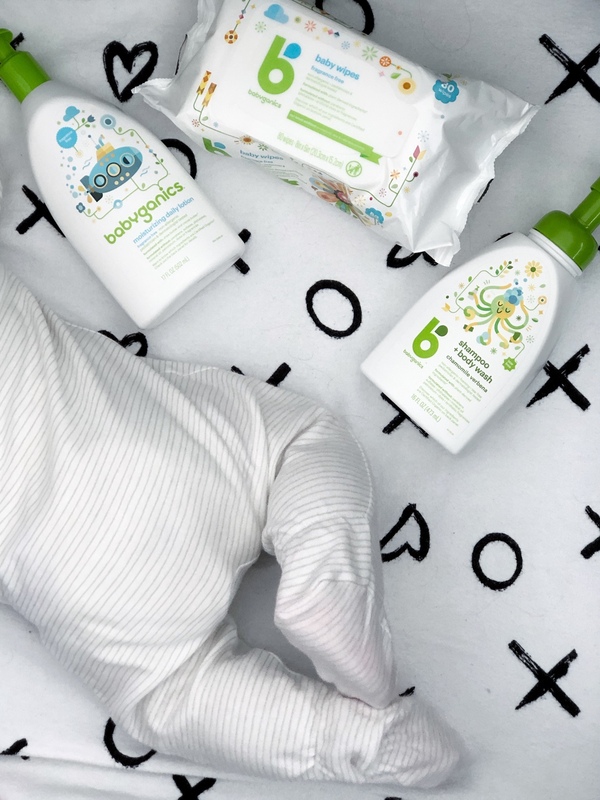 My son has cradle cap and it has not made that worse, nor has it dried out their skin. It is very gentle. We have also had this get on my kids face/near their eyes and it is no tears. 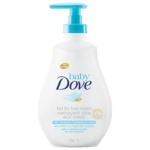 We have been using this for baths now for over 3 weeks since we received it, and with bathing 2 children we have barely used 1/5 of the bottle. A little goes a long way. Will definitely be buying this again when our bottle finally does run out! Thanks for letting us test it out! I received this product as part of the family rated review club and I am so glad we did, we absolutely love it. 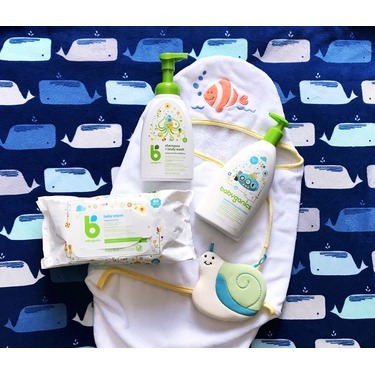 The pump head makes it easy to use on my little one and leaves him clean and lightly scented. This product is fantastic. 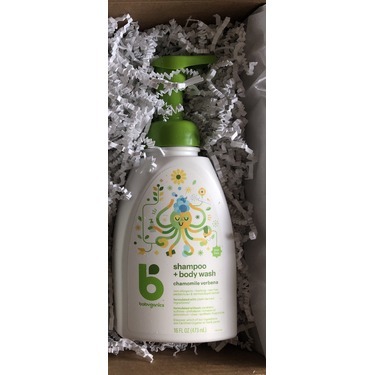 This was my first experience using foaming body wash/ shampoo for my son and it works awesome. 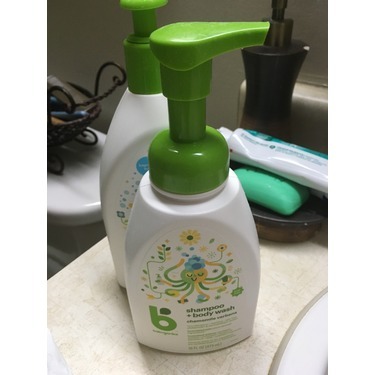 It provides a good lather and was super gentle on both my son's skin and hair. The smell is nice without being over powering. The design of the bottle is super cute as well. This has become a staple for bath night. I would definitely purchase.